Does Social Memory Theory Advance Historical Jesus Studies? Keith is a co-blogger of The Jesus Blog. Both Tim and I have previously addressed facets of Keith’s views and co-publications. Keith’s postmodernist perspective on the gospels offers a valuable critique of traditional “historical Jesus” scholarship but it also leaves untouched and builds upon a fundamental blind spot in that scholarship. Around the 47th minute into the address Keith expresses regret that other scholars who have criticized the social memory approach have failed to address the pioneering work of Jens Schröter. No doubt Chris Keith will be gratified to see that in the interests of public religious literacy Vridar has outlined and critically engaged with a core feature of Schröter’s arguments: see the Confusing “Narrative Voice” of Gospels with “Historical Truth Claims”. Following is a transcription of a few minutes of Keith’s talk. I have bolded sections I find of particular interest for good or ill. It is notable that recent criticisms of social memory applications in gospel studies fail to engage his work altogether. In very general terms Schröter proposes that every approach to the historical Jesus behind the gospels has to explain how these writings could have come into being as the earliest descriptions of this person. Insofar as this approach grounds historical Jesus inquiry in the past as portrayed in our extant sources, it is similar to what Assmann labeled mnemohistory which also foregrounds the text in traditions as they stand before historians. Related directly to this fact, Schröter insists that one cannot neatly separate past from present, history and interpretation, due to their intertwined and mutually interdependent natures of commemorative activity. Keith’s/Schröter’s point is that the past is lost to us and the best that the historian can do with respect to Jesus or the “Jesus tradition/s” is to attempt to understand how/why the Gospels came narrate their respective lives of Jesus. The comparison with Jan Assmann‘s mnemohistory (history of memories) is not quite apt but Keith does say that Schröter’s approach (and by extension Keith’s, too) is “similar”. Actually a comparison with Assmann’s work raises serious questions about Keith’s approach and I’ll address those toward the end of this post. Notice in the last sentence above that Keith refers to Schröter’s words about “commemorative activity”. I take commemorative activity to refer to rituals such as the eucharist, baptism, observances of special festivals like Easter and Christmas, etc. These are the mechanisms by which social memories of the past are preserved. Yet in some of Keith’s applications of his method to Jesus studies he steps well outside questions that relate to “commemorative” activities (and hence are part of social memory) and explores questions such as whether or not Jesus was as literate as the scribes. I am not doubting the applicability of Keith’s methods to such questions but it is a question I have that I would like him to help me understand. But back to Keith’s point about the possibility of “objectively” knowing the past. When we attempt to recover the past we do so for reasons that are with us today so what we see and understand about the past will be filtered through those reasons and interests. In other words, we cannot avoid interpretations of the past. We never see anything apart from interpretation and since people’s interpretations vary we can never have an “objective” grasp of what actually happened. Think of the common hypothetical case of the many witnesses of a car accident — each giving a slightly different view of what happened. I don’t think this view does render historical inquiry as incapable of knowing the past as postmodernists often seem to claim. Even the driver — or Jesus himself — must have their own interpretations of what they did etc but it does not follow that their memories are any more objective than anyone else’s. Interpretation does not leave us incapable of knowing if Caesar indeed did cross the Rubicon. So we come to the question of why historical Jesus studies are incapable of setting out even a minimal a set of undisputed “facts” about Jesus. The role of the actual past in the new historiography is a less than straightforward issue. Some scholars remain interested in positing a historical reality behind the gospels. Like social memory theory outside gospel scholarship however, applications of the method inside gospel scholarship differ on this notty epistemological issue. Le Donne, for example, is more interested in halting historical inquiries at the earliest recoverable mnemonic sphere and finds discussion of a past reality that is separate from his present commemorations unhelpful. Again, no doubt Keith will be excited to see that Vridar has also explained and critically engaged with Anthony Le Donne’s arguments. Schröter, Allison and I to the contrary agree that scholars can at least offer hypotheses about how things could have been. In other words we can take informed guesses. I agree with Keith here but I don’t think he goes far enough. If the scholarly point of raising hypotheses is to test them then that next step should be taken. What would we expect to find in the evidence if certain hypotheses are true? Why limit out “informed guesses” to one possible paradigm — the one that hypothesizes an oral Jesus tradition originating with acts and sayings of Jesus? Comparative literary studies (including intertextuality, mimesis and “midrashic” analyses and critiques of oral traditions) by a number of scholars (MacDonald, Brodie, Henaut, Hock, Goulder, Crossan, Arnal, Noll, Hanhart are among a few who have been discussed on this blog), have pointed to direct evidence for several narrative episodes being literary creations. Alas, as Keith laments the failure of the broader scholarly field to take up the challenge of Schröter so we may lament the scepticism many scholars extend towards the literary analyses emanating from these lights. Pity, because the nature of the evidence — clearly independent literary texts — does enable us to attempt to falsify certain of these literary hypotheses. This affirmation which basically reflects the continuity perspective of Schwartz and others requires clear articulation because it’s open to misunderstanding. By confirming that scholars can theorize a historical Jesus behind the gospels this approach does not assume that scholars can access an uninterpreted past reality behind the gospels much less that they can do so by dispensing with the interpretative categories in the gospels. These are the assumptions of form criticism, the criteria approach and the historical positivism to which they gave expression. I perhaps jumped the gun and discussed the place of interpretation above. What you are seeing here is the postmodern shift in historiography taking place in Jesus studies. Nor can I deny that a historical Jesus was at the start of the traditions that found their way in various guises into the gospels then we have to ask why he does not doubt. But at the same time I cannot affirm that there was such a historical Jesus, either. I can, however, on the strength of attempts to falsify literary hypotheses strongly lean towards the hypothesis that the acts and sayings of the gospel Jesus originated in the creative minds of the evangelists. So similarly Ruben Zimmerman which provides an eloquent quote which I would like to take as kind of the catchphrase for this entire new shift: “Es gibt keine Historie jenseits des Textes. Aber es gibt Historie durch den Text und als Text.”…. through the text and as text. In other words you’re not trying to get on the other side of it. You’re just trying to explain how it came to be, however that may be. Again I have questions that I would like to ask Keith here. Meanwhile I hope to gain access to Zimmerman’s article to understand his point more completely. My understanding of postmodernist historiography is that expressions like “through the text and as text” mean that all that can be studied is the text itself and nothing else beyond it. I may be wrong or limited in my understanding so I hope to have this clarified. Foster’s criticism as cited here sounds a little like my own question above about Keith’s method effectively being a slightly smudgier form of the “positivism” he leaves behind as the fruit of form criticism and authenticity criteria. Certainly this approach shares with form criticism a concern to understand and explain the Jesus tradition in light of its present community functions. We would never want to separate it from that. Unlike form criticism, however, the new historiography insists that any given present community as well as the Jesus tradition it transmits is itself constituted by the received past. Thus scholarly inquiry does not stop at observing coinciding elements of the Jesus tradition and community identity but also asks programmatically about how the inherited past places pressure upon and even forms those present frameworks in various ways. So the memories of the past maketh the community that remembers them and/or shapes their larger outlook about the present and past? I’m not clear how this concept is any different from what is clearly understood as a given in historical studies more generally. Or I might well be missing something obvious or maybe it is considered a radically new concept for theologians. I think I’ve covered the past and interpretive categories so I’d like to move on…. The historiographical shift toward offering explanations for the sources in historical Jesus studies then should not be interpreted as an automatic affirmation of those sources historical trustworthiness whether by supporters or detractors of social memory theory. As sure as Kennedy was born in Boston Jesus was born in Bethlehem? Keith had the wisdom to avoid informing his audience that Barry Schwartz actually used the analogy of Kennedy’s birth and its symbolic reputation to demonstrate that we should have no reason to doubt Jesus was born at Bethlehem! I understand that critical scholars are overwhelmingly of the view that Jesus was not born at Bethlehem but Nazareth. The Bethlehem account is said to have been invented by the “church” in order to “fulfil” the prophecy in the Book of Micah that the Davidic Messiah was to be born there. For this reason the first and third gospels contrive to weave both Nazareth (the supposed historical birthplace of Jesus) with the ideological Bethlehem. This example demonstrates a fundamental blind spot in historical Jesus studies. Bauckham and others even justify the method that catapults scholars into this gaffe by calling upon Christian ethics. The term used is “hermeneutics of charity”. Believe the text (in Christian charity) until and unless one is eyeballed with reason to doubt. Only in biblical studies (hopefully nowhere else) do we find such unscholarly attitudes towards the evidence. Enlightenment values be damned. At least Anthony Le Donne recognized the problem and resorted to the flawed criteria of authenticity to establish some “bedrock fact” behind the Gospels. Chris Keith has jettisoned those criteria (for good reasons) but still appears to insist that there is a historical Jesus doing and saying things that found their convoluted way into the canon. But without authenticity criteria he has no rationale, no reason to assert that any of the narrative contents ultimately derive from corresponding historical events. He only has a sky hook to uphold the historicity of Jesus and his life. 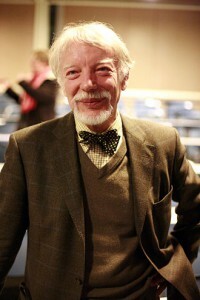 Above I quoted Chris Keith’s comparison of Schröter’s efforts to explain how the gospels came to be with Jan Assmann’s concept of mnemohistory. Assmann is an Egyptologist and his exploration of mnemohistory is found in his work Moses the Egyptian : The Memory of Egypt in Western Monotheism. Assmann’s book stands as an instructive foil to blind spot of historical Jesus studies. The “social memory” that Assmann discusses is the historical memory of the Exodus in Jewish and Western culture from ancient to modern times. Assmann makes it clear at the outset that whether or not Moses historically existed or whether the biblical Exodus had any “historical core” is completely irrelevant to the study of how these were “remembered” in society. We cannot be sure that Moses ever lived because there are no traces of his earthly existence outside the tradition. Unlike Moses, Akhenaten, Pharaoh Amenophis IV, was a figure exclusively of history and not of memory. Shortly after his death, his name was erased from the king-lists, his monuments were dismantled, his inscriptions and representations were destroyed, and almost every trace of his existence was obliterated. For centuries no one knew of his extraordinary revolution. Until his rediscovery in the nineteenth century, there was virtually no memory of Akhenaten. Moses represents the reverse case. No traces have ever been found of his historical existence. He grew and developed only as a figure of memory, absorbing and embodying all traditions that pertained to legislation, liberation, and monotheism. History turns into myth as soon as it is remembered, narrated, and used, that is, woven into the fabric of the present. The mythical qualities of history have nothing to do with its truth values. For example, Masada is both a complex of uncontested historical facts and a powerful component of modern Israel’s national mythology. Its mythological function does not in the least invalidate its historicity, nor would its demystification enlarge our historical knowledge. Sadly, as with the Bethlehem example above, archaeological evidence and a re-reading of Josephus have convinced a number of historians that Masada is no longer a “complex of uncontested historical facts” and is indeed mythological “all the way down”. External “objective” evidence is always needed to verify “facts”. Assmann does go on to discuss how the biblical and related traditions of the Exodus appear to have come about but he is not working backwards from the texts as Keith asks us to. Assmann begins with the archaeological evidence and what we can “objectively” know about Akhenaten and the Amarna revolution. My question . . . is not about “what really happened,” but rather about what became of the recollections that must have existed in the form of individual remembrances and collective traditions, both in Canaan (of the Hyksos’ sojourn in Egypt) and in Egypt (of the Amarna revolution). The Egyptologist begins with “hard evidence” and originally genuine historical memories and works forward into the later literature to find out what must have become of these memories. The historical Jesus scholar, it appears to me, begins with the later literature and tries to guess what memories produced it. The two methods look to me to be like polar opposites rather than “similar”. It is a pity Chris Keith has seen fit to shun Vridar (no reason given) at the cost of public religious literacy. I would love to discuss these questions with him. Posted on 2015-05-23 16:09:58 GMT+0000 by Neil Godfrey. This entry was posted in Biblical Studies and tagged Chris Keith, Historical Jesus, Historicity of Jesus, Social Memory. Bookmark the permalink. What did Nietzsche “really” mean when he said there were no facts, only interpretations? Did the car accident happen or not? Witnesses may give different, even conflicting accounts. However, the very same accident is unlikely to have occurred in Judea (Luke) and in Galilee. Here is a modern test for postmodern methodology: did Auschwitz I ever have a functioning homicidal gas-chamber? Does this matter more or less than whether Jesus ever existed? What extraneous considerations inhibit objective inquiry? Against that positivism which stops before phenomena, saying “there are only facts,” I should say: no, it is precisely facts that do not exist, only interpretations …. There is no such thing as an “objective” fact “out there” that we can all access directly without any sort of mediation. I have used Caesar’s crossing of the Rubicon as an example in the above post. N’s point is that all our evidence for this event comes to us through recorded interpretations of it. We do not have direct access to the event in the sense that we can bypass an interpretation of it at some level. Compare the crucifixion accounts in the different gospels. We have four interpretations of this event. We cannot access the crucifixion apart from interpretations — even our own. Harmonization or reductive rationalisation of the four interpretations brings us no closer to an uninterpreted crucifixion since all we would be doing is creating an additional interpretation. The question of historicity behind the artefacts (including written sources) was addressed recently in “Common Sense” Ways to tell (Historical) Fact from Fiction. N’s point is that even the historical reality behind the surviving evidence is inevitably known only via subjective interpretation and is never available to us in some absolutely objective, uninterpreted sense. Historians have always understood this principle. It was clear enough in my undergraduate days as a history student and being exposed to debates over Carr and Elton. And as Carr himself said, just because everyone has a different view of a mountain does not mean that the mountain does not have a real shape that matches none of those viewpoints. When I first began reading the works of New Testament scholars that seemed to be ignorant of this truism I was confused. Surely I was misunderstanding something. But no, I have been forced to accept that many NT scholars really have precious little understanding of the basic principles of history outside the cocoon of their own narrow interests. And when some of them do reach out to draw upon works from the broader field of historical studies they too often distort and misapply what they read — as we have seen here several times now. I encourage interested readers to raise these questions with Chris Keith himself and keep us informed of the feedback. I’d do so myself but he has made it clear that he refuses to engage in any private or public correspondence with me. The language of historical documents is never transparent, and historians have long been aware that they cannot simply gaze through it to the historical reality behind. Historians know, historians have always known, that we can only see the past ‘through a glass, darkly’. It did not take the advent of postmodernism to point this out. Looks like believers have co opted postmodernism. With the notion that if we cannot say that anything is firmly real, then any kind of nonsense about Jesus is plausible. This kind of thing is one reason why I and some others abandoned Poststructuralism around 1990. For at least a partial return to realism, and science. Insofar as this is possible in say, History. Yes. After having read Richard Evans’ In Defence of History I am all the more conscious of the aggressive rhetoric of the post-modernism of Chris Keith (and his colleague James Crossley). Like enthusiastic evangelicals they constantly try to point out how wrong everyone else has been and how only they have the keys to the future of early Christianity studies. There is little engagement with previous scholarship apart from misguided distortions and caricatures. For example, the way they misrepresent the argument of double dissimilarity — as if its point is to make Jesus unique — is simply flat wrong. Actually, John F Kennedy *wasn’t* born in Boston. He was born in Brookline, Mass., which never was a part of the City of Boston, and still isn’t, even unto this very day. Now, “born at Boston”, or “born in greater Boston”, has a ring of truth to it, instead of being just truthy while actually being a falsehood! Note: I used to live in greater Boston (several towns) and even the city itself. 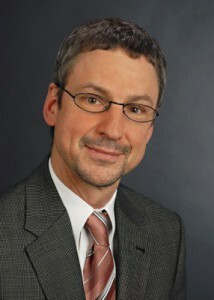 Keith’s comments suggest that he may be unaware of the long and difficult path that German PhDs must travel before they earn the right to the title of “Professor.” By convention, only full professors are known by the title, and to achieve that level takes a great deal of time and effort (e.g., see the link below on habilitation). Hence, academics going by the title of “Professor” in Germany or Austria tend to be noticeably older than than their American or British counterparts, which helps explain his cab driver’s reaction.